Food constantly surprises me; you can make various recipes these days from ingredients you couldn’t even have imagined doing so 5 years ago, there’s more fruit and veg being discovered every week, and there’s also the gorgeous seasonal changes of old favourites coming out to play once the sun emerges. By eating produce that’s goring seasonally in the UK, you will save yourself many pennies and pounds due to the reduction of import and transport costs. Ever noticed why berries are super expensive October to March? That’s because we have to import them in from other countries, meaning costs are bumped up to cover transit. Save your pennies and buy the food fresh, plus you’ll be helping out British farmers too! As I said, out of season food requires it to be transported in, which means more use of fuel to fly/ship/drive in all the products from around the globe. I’m all for trading with other nations, but when supply and demand doesn’t meet with food and you end up with lots of soggy food that looks a bit meh, it’s time to stop the waste. Buying in season guarantees produce from local British farmers or businesses, meaning it takes less fuel to transport and the produce will be in it’s prime! Everything is fresher for longer! Linking on nicely, the more local and in season you buy your food, the fresher it stays! I know I keep mentioning strawberries, but there is a huge difference in their size, colour and taste from when you buy them in the Winter to the Summer – Summer is when strawberries are in season in the UK and they’re big, juicy and a vibrant red colour that can last a week in the fridge (if you don’t go all out on meringues or Wimbledon parties, whatever floats your boat). 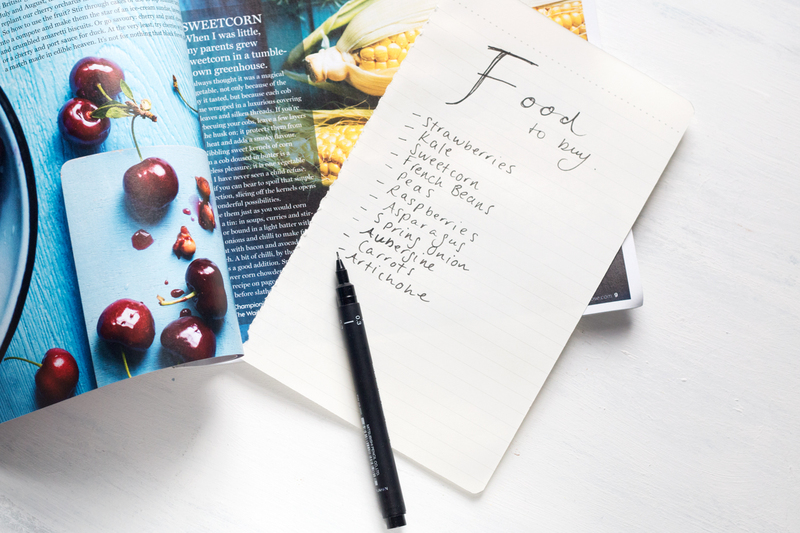 The BBC and blogs such as Cookie + Kate do monthly and seasonal roundups of what food will be available for harvest and fresher during the period of time, so make a list and see what will made your fridge look colourful. It switches up your diet & varies nutrients! I don’t know about you, but in the Summer I want fresh, fresh and more fresh. The fresher and cleaner the foods, the better – perfect for a picnic or a BBQ, cleansing and light to sit and enjoy in the sun, something that seasonal eating perfectly compliments. In the winter, you want carbs to store energy and fat to keep warm (we all do it, sweet potato life is real) and vitamins to keep your immune system in check, whilst in the Summer you want quenching and light yet filling meals to make you feel nourished whilst skipping along in a dress and bare shoulders (just me?) but give you the antioxidants you require. By eating what is in season, you’ll have access to more foods and be encourage to switch up your diet thanks to the weather changing – is that’s not another reason to love Summer I don’t know what is. It’s amazing how just a few small changes in what you eat each season can do to your diet and your purse, so next time you’re planning a shop, make sure you look up what’s in season and see how you can jazz up your plate in an instant! Have you tried eating seasonally? What are you favourite things to eat in the Summer? Do you buy locally or for what you want to eat weekly?